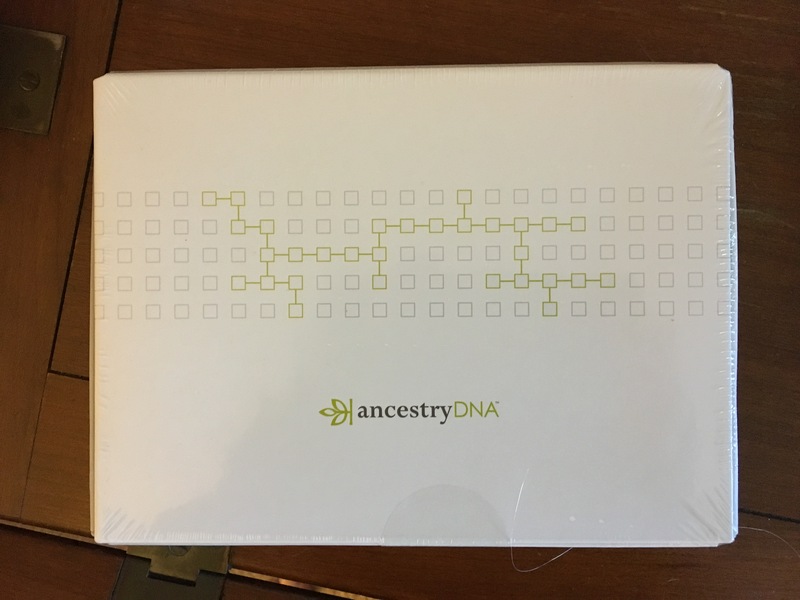 This Christmas, I gave an ancestryDNA kit to my son and bought one for myself, as well. Whenever I get time, I work on our genealogy. And it is always full of surprises. One branch of my family that we were told were Dutch, were German. I realize that over the centuries, the political boundaries on almost every continent changed. But the people didn’t necessarily move. So there is a lot of overlap. But when your great-grandfather came to the US in 1898 from Germany and you were told from Holland, and you were told his name was Francis but it was really Franz, that’s just lying. My guess is that because Germany was an enemy of the US for a long time, my family made that up. But it’s just a guess. And we definitely had at least one German in my direct line marry into a Dutch family, but so far I don’t see a blood relationship. Yet. That could change with more digging. I’m WILDLY interested in what my spit will tell about my ancestry. Here’s my guess…. 50% Ireland, 35% Great Britain, 14% Western Europe and 1% Surprise. I’ll share results when I get them back. What I wish I had researched ahead of time, is that my favorite DNA, Neanderthal, is not tested in the ancestryDNA test. It looks like many of the other tests do test for it. Oh well. I’ll have to decide if I want to spend $200 on something whimsical. But there is the matter of my burning my hand on the 400 degree pan from the oven. Definitely a Neanderthal move. Fire and I don’t have a great relationship. I’ve pretty much mastered a wood-burning stove, but it’s taken 40 years. And what will my son’s show? Does he have more DNA from my family than his father’s? We both have a large percentage of Irish and Great Britain ancestors, but my son’s paternal grandmother’s family is Austrian/Slavic/Polish/Ukranian depending on which relative he asks. All in all, I’m incredibly excited to spit. This entry was posted in genealogy, Uncategorized and tagged ancestors, ancestryDNA, families, family, genealogy, history, neanderthal, political boundaries, relatives, spit. Bookmark the permalink. Fire is hot. Barb see fire. Barb touch fire. Barb says ow. Barb no like fire no mo’. Definitely some Neanderthally things there, I’d say! haha. I know…what’s up with that? Maybe I’ll find out I’m 100% Canadian. I’m really jealous of your grandson right now. Then he has the Simpson’s house and the Scooby-do Mystery Mansion to do. Go southeast for about 10 hours. I’ll put on the hot chocolate. Do biological brothers and sisters have the exact same DNA? I’ve been wondering about this. No, because they can inherit different traits from different ancestors. Identical twins do. Thanks, Barb. Genetics is so interesting. A long time ago, lol, I took a genetics course in college and was hooked. One more question: If biological siblings took a DNA test to discover their roots, would they all have the same countries of origin show up on their tests? They should, right? Yes, I’m sure they would, but the percentages wouldn’t necessarily be the same. For example, one sibling might take after a maternal grandfather, while another takes after the other side of the family. So the percentages would not be identical. It would be interesting to know if someone who has done extensive research on genealogy and then had the DNA test found it confirmed what they have found or if it found something different. To which I say, “Whatever…..” But I never finish because my wife nails me with her elbow. DNA is fascinating. Besides our majority African descent, my mother’s side of the family always claimed to be American Native. My cousins, their grand-fathers and great-grandfathers are brothers to my great-grandfather have the DNA to prove they are. I, on the other hand, have no American Native DNA but was pleasantly surprised that Scandinavian showed up as well as in the DNA of both my parents. You’re right, it’s totally fascinating. Were you surprised about the Native American DNA? My husband’s came out 20% Scandinavian and no one in his family had a clue. I’m guessing that’s where his blue eyes come from. I was surprised that I have no American Native markers when my cousins do. I just didn’t think a whole pool of DNA could be missed that way. What blew me away was my daughter. She’s half Black and half White but, technically speaking, her DNA is approximately 1/3 African, 1/3 European and 1/3 Asian. I am not Asian in any way so it had to come from her father but he is not just White, he has blond hair and blue eyes! CRAZY! So she has inherited from an ancestor back a ways, I guess. I can’t wait to get mine back. i hope 2017 will be the year i buy a dna kit for me, my husband and son. it would be a great present, wouldn’t it? Very! My son and I are really looking forward to the results. You’re right, it’s a great gift. i hope you will share them, i’m curious! I will definitely share mine!